Ronald Kessler is a former secret service agent, a best selling author of more than 20 nonfiction books, and a renown investigative journalist. He shares his latest book, The First Family Detail, which came out today. Kessler says that being assigned to Hillary Clinton's security detail is considered to be the "worst assignment in the secret service." The Secret Service codename for Bill Clinton's mistress is "Energizer." 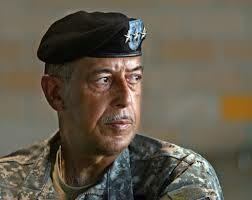 Lieutenant General Russel Honore is most well known for his command of Joint Task Force -Katrina – leading the Department of Defense response to Hurricanes Katrina and Rita in Alabama, Mississippi, and Louisiana. In light of the recent Lafayette Theater Shooting, General Honore discusses his article in USA Today: America's in Denial about Gun Culture. Elliott Stonecipher is a well known Louisiana Political Analyst and Pollster. He discusses the upcoming Gubernatorial race and the financial dynamics of the candidates. David Vitter has 9.4 million dollars to use for his campaign. Jay Dardenne has 1.8 million. John Bel Edwards follows in third place. Stonecipher also comments on the public's lackluster opinion of Louisiana politics and politics in general.